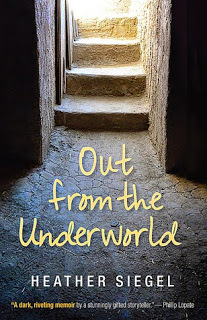 I’m participating with a book review of OUT FROM THE UNDERWORLD in the iRead Book Tours. To visit other stops on the tour and enter to win a copy of OUT FROM THE UNDERWORLD, click HERE. Heather takes us into her childhood inside a dark, musty, and moldy basement where she lives with her sister, brother, and father. Her mother left them and then died. Her father can’t seem to function without her and escapes to work at the funeral home or on his dates with women he met from personal ads. Her grandparents prefer to ignore the fact that they all live in their basement. When her father can’t seem to get things under control, the siblings are sent to live in various foster homes, Eventually, Heather and her siblings finish their childhood years with their father in a basement with no windows. Heather shares bits of memories of her mother, ways that she and her siblings survive, and her dreams for their future. Traveling through the pages, Heather grows from a five-year-old to an adult, going to college and working two jobs to pay for it. Through all the hardships, Heather always found a way to appear happy, normal, and sane. With both of her parents suffering from mental illness, it is a wonder she and her siblings survived at all. OUT FROM THE UNDERWORLD is one of those stories that shows how people can rise from the ashes and prove society wrong. If you have a dream, intelligence, resourcefulness, and a sense of humor, you can accomplish anything. Heather Siegel and her siblings survived harsh conditions, horrible memories, and tragic childhoods and came out ahead. Her story proves that people can rise above their fate and overcome. She doesn’t spend time in the book whining about her sad life, her father’s poor choices, or lack of family to support them. She instead shares how she and her siblings stuck together and focuses on the few angels who supported them and made them feel special. Heather also is thankful for the many books she disappeared into during her childhood. She is another example of how reading can set you free. Kudos to Heather and her siblings for finding the silver lining in life and making the best of the situation at hand. Heather Siegel earned her MFA in nonfiction from The New School and has been published at Salon.com as well as various trade magazines. 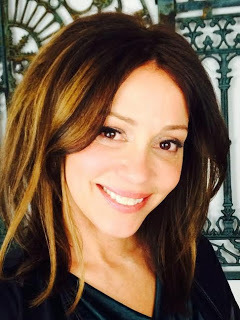 A multi-faceted creative, she is the founder of two Long Island coffeehouses which foster arts and music, as well as a juice and beauty bar. Heather currently writes in a house full of light, where she lives with her husband and daughter. For more on Heather, visit her website, HERE. You can also find her on Facebook, HERE and Twitter, HERE.